Spendwise Moms: Kids Eat Free at Marie Callender's! 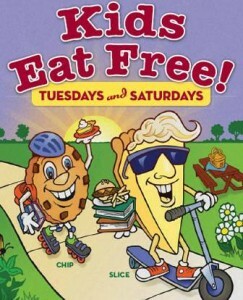 Kids Eat Free at Marie Callender's! 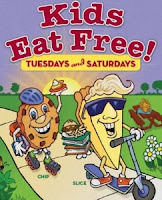 Kids can eat free on Tuesdays and Saturdays at Marie Callender's. Receive one free kid's meal with each adult meal purchased. Go here for details. Valid at participating locations only, and not valid on holidays.